Unmounted stamp sets. Same high quality stamps but now unmounted for you to use with clear acrylic blocks. This makes storage easier and they are much cheaper. (this set of 8 stamps is just $30.95!!!!) However for those die hard wood mount stampers all sets are still available in your favourite timber mounts. I must admit to be a real sceptic when it came to unmounted stamps, however I think I’m being converted. They are certainly worth a try. The other big news in this catty is the Big Shot. Oh My Goodness! I’m totally in love with this baby. What an amazing machine that cuts, folds, embosses creases all in the turn of a wheel. 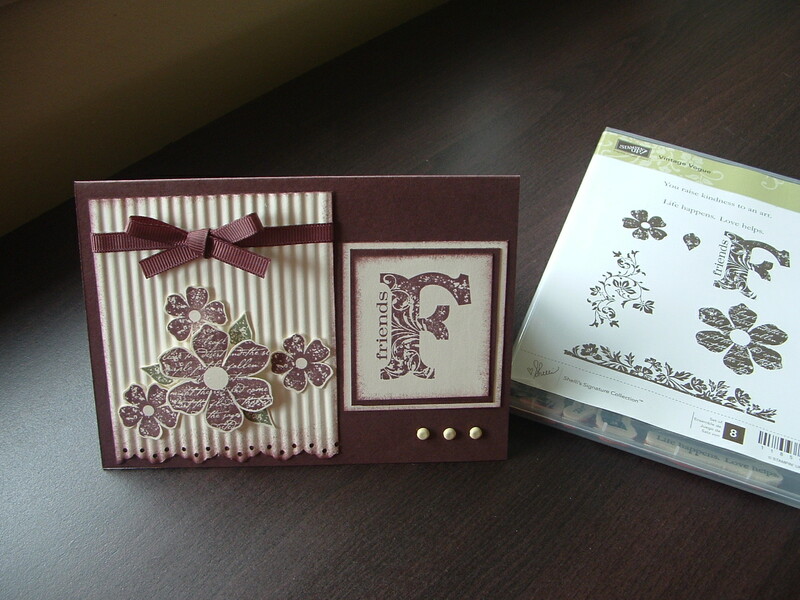 Also available to go with your machine are lots of dies, embossing folders and the amazing movers and shapers. Very, very excitement about this one. We also have three more ‘in colours’ being released. Rich Razzleberry, Melon Mambo and Soft Suede and all will be available in stamp pads/cardstock/delightful spotty ribbon. You really have to see and feel these three colours to appreciate them. They are just gorgeous. Another biggy is the new punch style. There are three punches in the catty but my fave is the bird on a branch. He’s just delightful and the new style punch is easier to operate and much easier to store. Enough! Enough! Enough! If you’ve not got your own copy of the new Autumn/Winter Catty just call or email me and I’ll happily put one into the mail for you. Well, I’m busy now preparing for my family to arrive to spend Easter with us in Tenterfield. The temperatures are now beginning to drop and the trees are doing their colour turning trick. It’s all looking so very beautiful.